The month of January was full of Korean comedies, and most of them seemed like very light films. However, <MALMOE: The Secret Mission> seemed different. The trailers of the movie conveyed a strong message, and a reason for it being produced, unlike some of the other January-released Kfilms. And this thinking prevailed and translated in full to the actual movie. <MALMOE: The Secret Mission> was a great film to start off the new year. Directed by Um Yoo-Na, <MALMOE: The Secret Mission> revolves around the Korean language, more specifically the written and spoken words, including all of the different dialects, of Korea. “MALMOE” literally translates into “collection of words.” With two phenomenal lead actors of Yoo Hae-Jin and Yoon Kye-Sang, and a killer supporting cast of Kim Hong-Pa, Woo Hyun, Kim Tae-Hoon, Kim Sun-Young, Huh Sung-Tae, and more, the film truly showcased the talent of an amazing team, all while delivering several compelling messages. 1940s: A time when the Korean language was gradually disappearing. After recently being fired from his job at the movie theaters, Pan-Soo (Yoo Hae-Jin) resorts to pick-pocketing to pay for his son’s tuition. Coincidentally, a man that he unsuccessfully tried to rob turns out to be Jung-Hwan (Yoon Kye-Sang), the executive director of the Korean Language Society that he’s trying to get a job at. 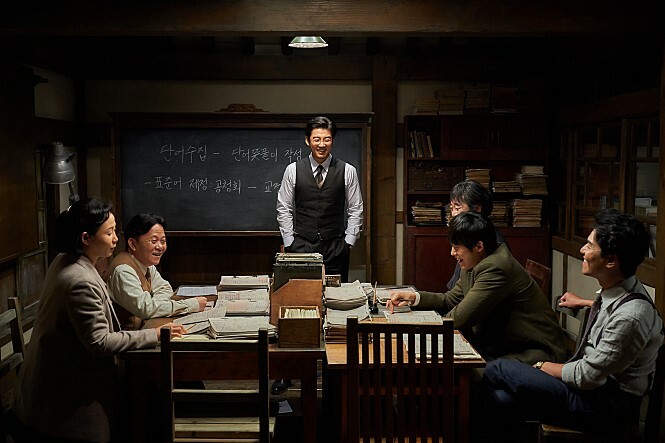 The Korean Language Society is hard at work in trying to build a Korean dictionary; thus, the director is very hesitant in hiring an ex-convict. Plus, Pan-Soo is illiterate! Nevertheless, the rest of the team welcomes Pan-Soo with open arms, and he joins the Society with the condition that he must learn to read and write Korean. A man that didn’t understand why “words” instead of “money” should be collected begins to learn the importance of the Korean language as he learns how to read. With the Japanese imperial government chasing them down, the Korean Language Society must complete the MALMOE before they are shut down by the Japanese government, and all is lost for the Korean language. There are so many positive aspects of this film that I don’t know where to start. From the casting to the acting of those cast members; the story to the meaning behind it, it was all incredible. <MALMOE: The Secret Mission> was full of light humor harmoniously balanced with serious messages. 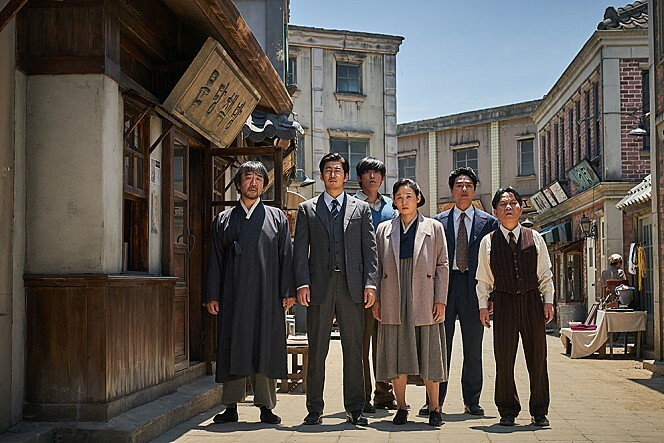 It depicted the significance of the Korean language, and language in general, in an admirable way, all while giving a history lesson in a very entertaining manner. If you’re into learning about the Korean language, culture, history, or just Korea in general, watching this is a great way to do so. 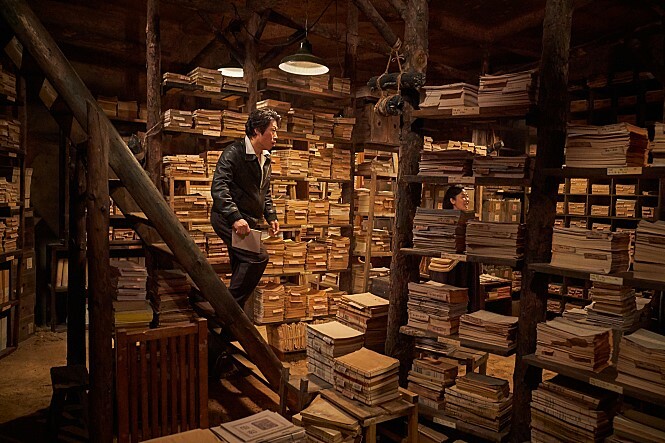 One memorable message cited in the film was “where there is people, there are words. And where there are words, there is meaning. And where there is meaning, there is independence.” During a time where Korea was invaded by Japan, independence and survival of Korea as a whole was of great significance. Another insightful topic mentioned was the subject of “Us” vs. “Me.” Korea is a very collectivist nation; it emphasizes the society over individuals. And we can see this in the language of Korea, as mentioned in the film. For example, where the English language expresses family as “my” family (i.e. I went to dinner with my family), the Korean language directs it as “our” family (i.e. I went to dinner with our family). Moreover, the last notable feature of the movie’s messages I would like to acknowledge is patriotism. The film is a work of art that affirms the Korean people’s patriotism. If it weren’t for the love for Korea that the ancestors had, there very much wouldn’t be the nation(s) of Korea. It is through their allegiance and determination that Korea was able to gain independence, and prevail till this day. All of these integral points were not only insightful, but also very touching. However, this does not mean that it tried to force the tears out of its audience. It was all genuine. As mentioned before, despite the serious tone of its messages, the movie overall wasn’t all somber. The movie starts off extremely light and humorous, and could even be labeled as a comedy. Yoo Hae-Jin was absolutely hilarious in this, and as always, he plays both ends of seriousness and humor very, very well. My respect for him went up even more, which I didn’t think was possible. And Yoo Hae-Jin wasn’t the only great actor in this. Everyone in <MALMOE: The Secret Mission> was marvelous. We were able to see a totally different side of Yoon Kye-Sang than from his performance in <The Outlaws>, proving his range in acting abilities. By the same token, Park Ye-Na, the child actress that played the role of Kim Soon-Hee, the daughter of Pan-Soo, was absolutely adorable. Basically everyone in this was great, and were of familiar faces. I do not have any major discontent with this film. It was great on several levels, and I couldn’t really ask for more. If I had to give a negative remark, it would be that although this was a remarkable watch, it isn’t something to watch multiple times. Because you’re already exposed to the narrative the first time you see it, I can’t see myself watching it again for the second time. Yes, I’m sure there are other matters that could be picked up if you watch it several times. But if I had to choose between watching this for the second time or a new film, I’d most likely watch a new movie. And lastly, I would say you would need at least some degree of interest in Korea and the Korean language to fully enjoy <MALMOE: The Secret Mission>. Because the film heavily focuses on the language, this may not be for those that are looking for just mere comedies. In my opinion, what separates a good movie from a great one is the message(s) it serves. In that sense, this movie was not only funny, informative, and emotional, but also had several important manners artistically blended with it. The theater was not only filled with laughter, but also tears. Sniffles could be heard across the room. Definitely a must watch if you are into Korean history and culture. I’d put this up there alongside <Ode To My Father>.